Choose power when you lace up the Puma evoPOWER cleats. Trusted by some Europe's biggest stars including Olivier Giroud and Cesc Fabregas, the Puma evoPOWER is designed based on the mechanics of barefoot kicking to provide more flex for improved power and accuracy. 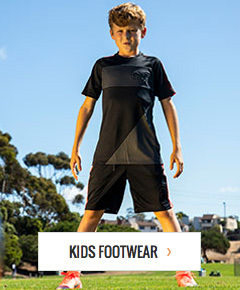 Whether you play on natural grass, turf or indoors, soccerloco has the Puma evoPOWER soccer shoes you want. Shop soccerloco.com now to get your pair of evoPOWER cleats with fast shipping and easy returns.